Except during the time I had the gas station, and had to stay open seven days a week, Jule and I tried to go on vacation at least once a year. She loved the mountains, and I loved the Jersey Shore. So we compromised. One year the mountains, and the next the shore. We learned to love both places. Our boys learned to swim in the Pocono Mountains. I remember that the hotel used to change the water in the pool every week, and the clear mountain water was so cold, that it took two days before you could swim in it. The ocean beach was also cold at times, but you could quickly dash in and out. In a pool, you got numb as soon as you got in, and you had to swim out. In the mountains we hiked, biked, and swam, played baseball and games. We also had great cookouts and hayrides. The beach was just swimming and diving into the waves for sport. Building sand castles. Sunning yourself on the beach, and getting sunburned if you weren't careful. Then there was always the boardwalk and all the concession stands and sight seeing. We had some great times at both the beach and the mountains. 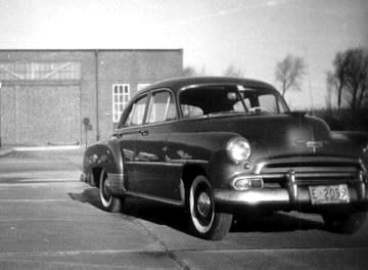 About 1951 we needed a new car, so Uncle Sal told me about his nephew who was in the auto body repair business. He would purchased damaged cars from insurance companies. Some were wrecked badly, others not so. These cars would be completely repaired and then resold. Many of them were late model cars. Uncle Sal had bought a late model Chrysler New Yorker in good condition for almost half the price of a new one, and it ran fine. His nephew had some good buys. One was a 1951 Chevy, two-door. He told me it was in good condition, and I looked it over and it was. I decided to buy it. We got it for a decent price, and it still had the warranty on it. We got quite a few good years and miles out of that car, because at about this time, we started driving to Florida every summer for our vacation. We would take two days to drive from Newark to Miami Beach, where we usually stayed at one of the smaller, oceanfront hotels. 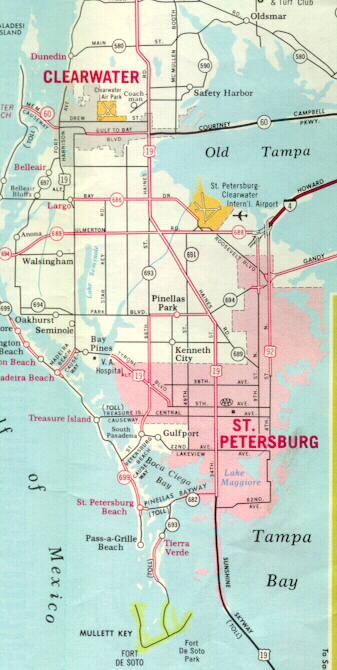 We had vacationed in Florida a few years before 1958, so we thought of moving to Florida. 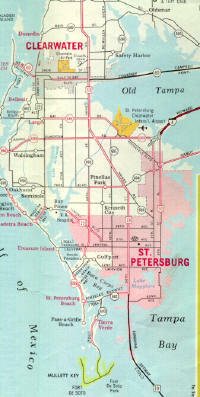 When I was 50, we had worked hard and got lots of literature on Florida living and conditions. We were prompted to try it and thought very seriously about moving. When we came down in January of 1958, we picked a development that we liked, Kenneth City. It was only one year old. We selected a location and a model home and signed a contract for a home to be built. That was a very important thing that we did, and at the time it seemed we did it on the spur of the moment. We just drove down to Florida, spotted the Kenneth City area and just loved it the way it was. We had seen other places, but this was the best. We went ahead and had the contact drawn up, selected the model and location, and added some other options such as type of heat, windows and other accessories. They said it would be ready in six months. Six months later we were informed the house was ready for occupancy. So we drove down and moved in.